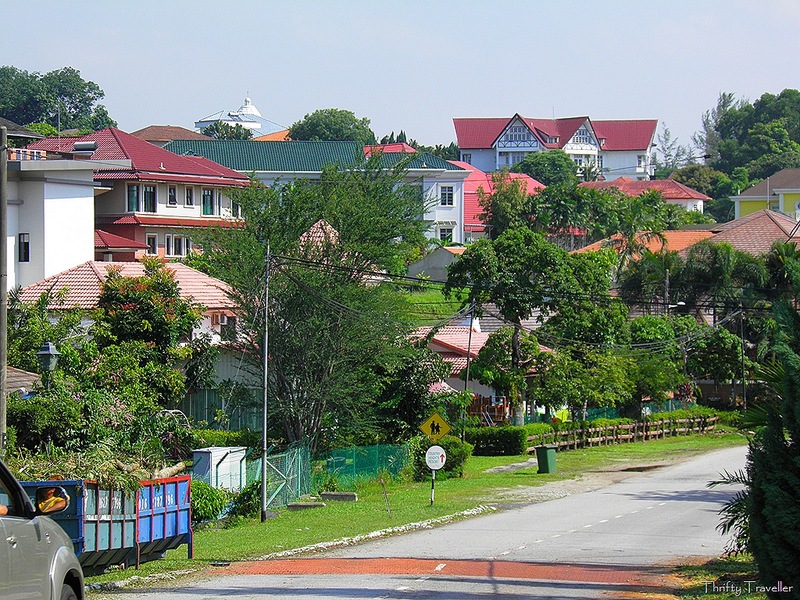 Country Heights Resort was the first gated and guarded community to be developed in Malaysia. It was launched in 1987 on former rubber plantation land around 25km south of Kuala Lumpur. 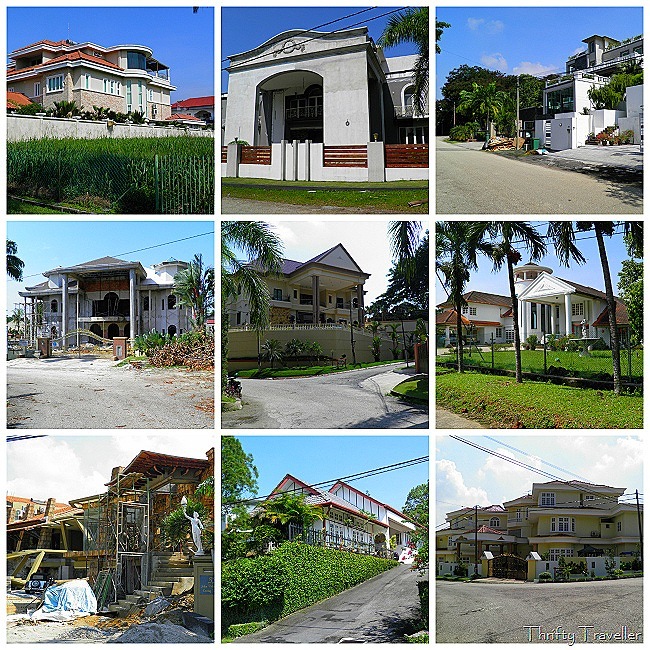 It was always intended to be an exclusive neighbourhood and the developers referred to it as the ‘Beverly Hills of Malaysia’. It is still one of more up-market areas in the Klang Valley and includes VIPs and the rich and famous among its residents. It is not one of those immaculately neat sub-divisions where every home is of a similar design. Here spacious plots are sold off to individual owners who build homes according to their own tastes and budgets. The result is that virtually no two homes are alike except in a couple of areas where developers have built mini sub-divisions within the boundaries of Country Heights. Nearly all the houses are big with six bedrooms and seven bathrooms being commonplace while there are many huge mansions with lifts, private security, underground car parks, swimming pools and ten bedrooms or more. Architectural styles range from modern tropical to mock-colonial bungalow to Mediterranean villa. Some of the homes are more elegantly designed than others. Some are exquisite while others are flashy and ostentatious proving that being rich does not guarantee good taste. If you want to live in Country Heights you can expect to pay a lot of money. There are some houses costing less than a million US Dollars but the average price is probably around two million and much more for the top-end super luxury homes. Sadly I won’t be buying here in the foreseeable future! 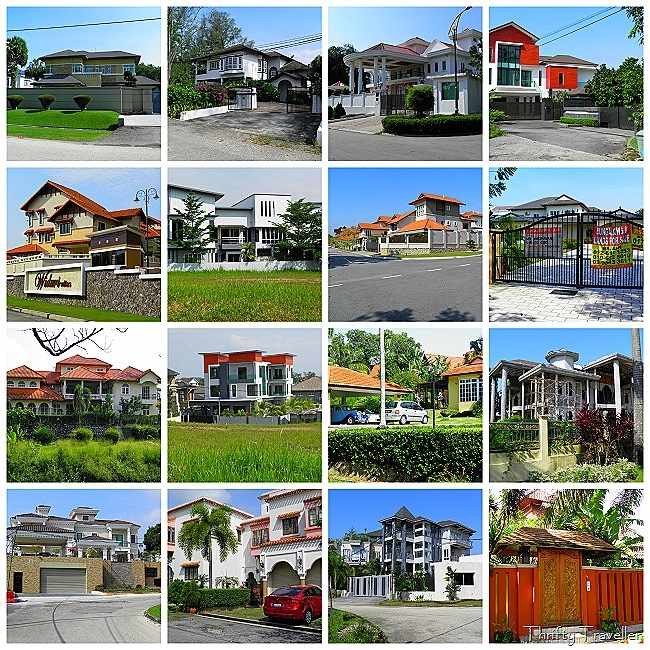 Here is a sample of the homes you can find at Country Heights, Kajang.